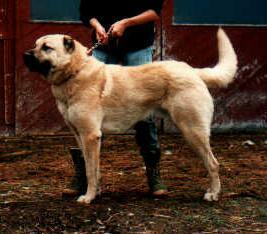 Capar was imported from Turkey in 1980 by Quinn and Marilyn Harned. He was placed at the New England Farm Center for the first three (3) years he lived in the United States. Capar is featured on the Control Data Corporation video entitled, "Livestock Guarding Dogs." 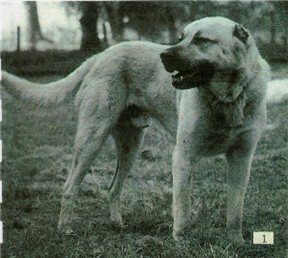 He was also the breed representative in George Ancona's book, Sheep Dog. 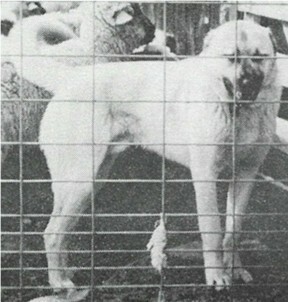 Capar was one of the great, proven livestock guardian dogs. He passed on these outstanding guardian traits to his many offspring. At 115 pounds of lean muscle and bone, he proved that attitude and demeanor was more important than size and weight. He was awesome.